Home / Music / DOWNLOAD “GINA & THE GARAGE SALE” EP FOR FREE! DOWNLOAD “GINA & THE GARAGE SALE” EP FOR FREE! 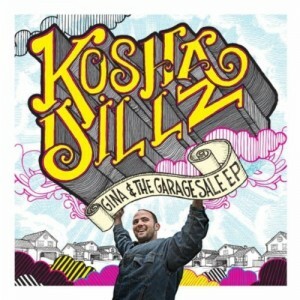 Kosha Dillz combines with German production team Shuko and Fonty to create Gina and The Garage Sale, a 9 song EP that follows up his acclaimed solo Freshman album Beverly Dillz. Gina, a friend of Kosha who passed away of an overdose during the recording, will be part his free (5 song) portion of the album and target many of Kosha’s darker struggles via crime, drug addiciton, and death The Garage Sale signify’s the inner cleansing of his house and puts out all for sale in typical hustle minded Kosha Dillz action. The two titles separately combine to balance the yin and yang of Kosha’s light hearted attitude toward serious issues and ultimately combine to balance the mature artist he has grown to become amidst all his tribulations. Grab the 6 song EP download for free below. The full 9 song EP is available on iTunes and Amazon.